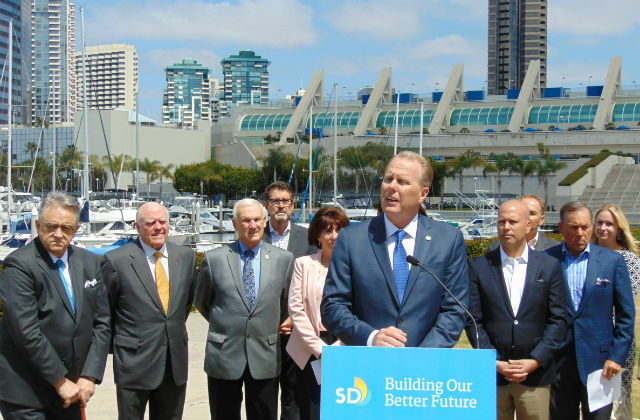 A newly released poll of voters shows strong support for increasing the hotel tax to fund expansion of the San Diego Convention Center. The poll, conducted in February and March by the respected polling firm Competitive Edge Research, found that 67 percent of those likely to vote in a special election would support the plan to raise the hotel tax by 3 percent. The tax, officially known as the Transient Occupancy Tax, is paid by overnight guests at hotels in San Diego. 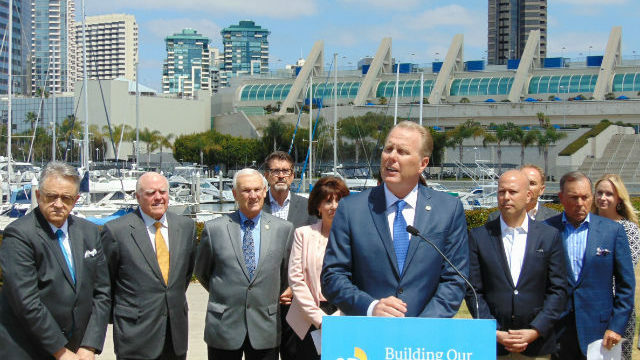 Mayor Kevin Faulconer has proposed raising the tax to fund the $700 million expansion and provide a continuing source of money for street repairs and homeless programs. “We have strong messages in favor of the measure,” said John Nienstedt, owner of Competitive Edge. “The convention center’s value to our economy is a very salient point for voters, especially when you list the conventions we’ve lost and stand to lose if we don’t expand. The poll was based on responses from 392 voters in the city of San Diego. The margin of error is 5 percentage points.